Up to six one-on-one private coaching and consulting calls with Diana Morgan, social media, online marketing and expert business coach. Diana is also a Thriving Business and Thriving Speaker program graduate. Experience additional support at your fingertips whenever you need it. Loaded with over twenty modules of business building audio seminars, templates, handouts, and examples of what other people are doing. All of this is to support you in increasing your planning, systems and execution to make your business thrive now, and build a long-term profitable and sustainable business. 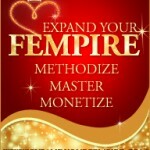 2 TICKETS to The EXPAND YOUR FEMPIRE or The SHERO SPEAKER SUMMIT Value: $400. You receive two tickets. You can decide if you want to attend both events or bring a team member or friend to one with you. These two-day, business-transforming events, will allow you to learn new strategies, discover new tools, and expand the possibilities for your business in a supportive environment. In addition, you will have the opportunity to network with other top-notch entrepreneurs. I have created this very comprehensive thriving platinum program for you to ensure your success, and make it very easy for you to see the value you will receive. If you want to use speaking to build a thriving business this program is the clear choice for you. 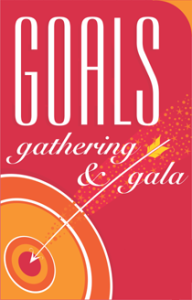 You also receive an invitation to Caterina’s private and very exclusive Goals Gathering and Gala designed to set you up for significant success in the coming year. Additionally, you are invited to our mid-year, all community event, called the Summer Success Spurge. This is a great opportunity to expand your network and be inspired by fabulous speakers from our community. It’s time for you to make your business thrive! You do not want to delay because there is limited space in this program. Questions? Click here to email Caterina, or call her directly at 415-668-4535 to discuss if this program is right for you.